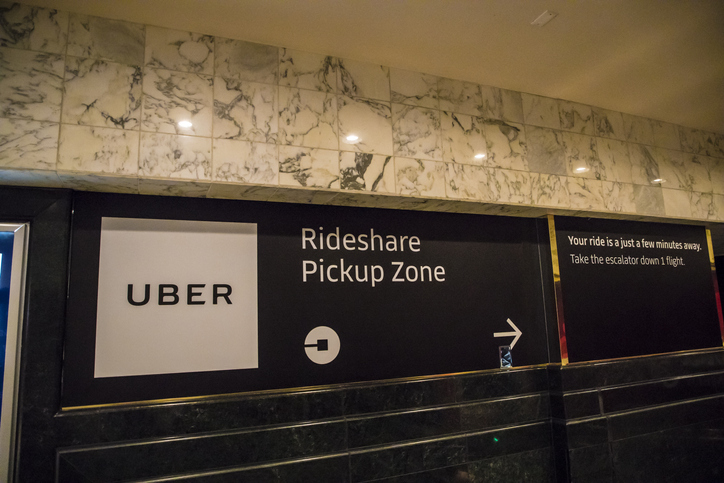 Uber set the stage for the largest initial public offering in years, releasing a prospectus that showed revenue growth in its core ride-sharing business is slowing. The offering could value Uber at around $11 billion, more than four times that of United Airlines’ parent and double that of FedEx. It would be the largest share sale since the Alibaba Group began trading in 2014. The company said in the filing that it lost $1.8 billion in 2018, excluding certain transactions, on revenue of $11.3 billion. “In the United States, the company is burning cash as it battles Lyft, cutting prices for passengers and spending to recruit drivers,” the Times said. The loss did not come as a complete surprise since Uber has been giving sneak peeks at its financials for the past two years. But the prospectus also revealed that adjusted net revenue growth from its core platform slowed to 39% last year after more than doubling the year before. Uber was also heavily dependent on five cities — Los Angeles, New York, San Francisco, London and São Paulo, Brazil — for nearly a quarter of its total bookings. The number of monthly users of Uber’s ride-sharing and food-delivery services grew 34% to 91 million last year, compared with a 51% gain in 2017, while spending continues to rise, reaching $14.3 billion last year, up 19% from 2017. But by “core platform contribution margin” — a metric that shows revenue after direct costs and expenses — Uber made a profit of about $900 million, for a 9% margin. It is also paying out a higher percentage of bookings to drivers than Lyft is.